We have an estimated 600 international students from over 50 different countries. 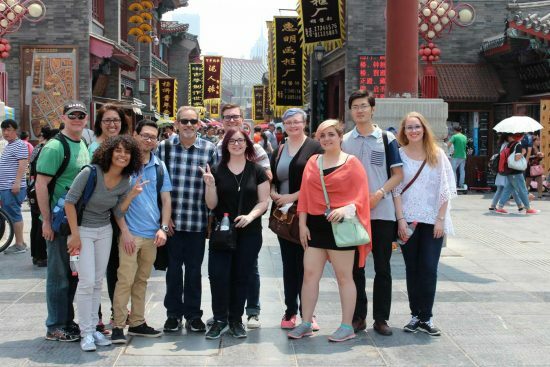 As an international student, you will enjoy programs and services such as cultural and educational events, trips to the Dallas/Fort Worth area, cultural adjustment advising, and immigration advising for our new international students and scholars. Established in 1889 as a “normal” or teacher’s college, Texas A&M University-Commerce has grown to become a comprehensive public research university. Located in Commerce, Texas, our main campus is a short distance north and east of the Dallas-Fort Worth metroplex. Students from Texas, the US and from around the world can select from more than 100 academic programs offered through our five academic units: College of Business, College of Science and Engineering, College of Education and Human Services, College of Humanities, Social Sciences and Arts, and College of Agriculture. 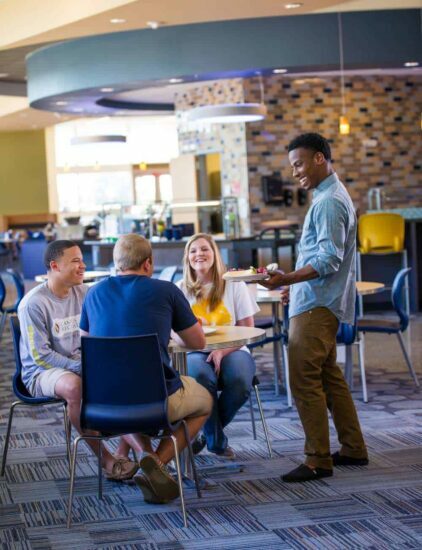 Why should you choose to study at A&M-Commerce? At Texas A&M University-Commerce, soldiers, sailors, airmen and marines are an important part of our legacy. We appreciate your service and sacrifice, and we are committed to your successful transition from military to civilian life. This commitment includes helping you build on your strengths so you can achieve the well-respected bachelor’s or graduate degree you deserve. The Veteran Services Office (VSO) is available to help veterans and their dependents maximize their college funding at Texas A&M University. We currently serve more than 1,200 National Guard members, reservists, active duty personnel, veterans and children or spouses of those who served or are currently serving and receiving veterans’ educational benefits. Whatever your educational goals are, let A&M Commerce help you define and achieve them. Hey Lion, congratulations on your acceptance! We can’t wait to have you home, living and learning alongside us. There’s so much greatness in store for you. Buckle up; it’s gonna be an exciting and rewarding ride! You knocked out the application paperwork. While you anxiously await your acceptance, take a look around our virtual map and schedule a visit to meet us in person. We’ll be in touch soon! We’re all about shaking things up, stepping out of our comfort zones and tackling success. 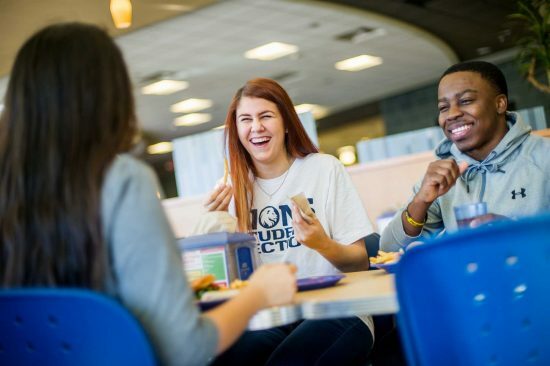 With roughly 4,000 currently enrolled transfer students at A&M-Commerce, you will be surrounded by peers who’ve made the same change as you, offering support and encouragement. We can’t wait to welcome you to our pride. A&M-Commerce, located in the heart of Northeast Texas, is home to over 11,000 students. With more than 100 graduate and undergraduate programs, we’re here to help you make the next move in achieving your career goals. Our small-town atmosphere is a wonderful place for you to study and get involved. Schedule a tour of our campus today to find out more about A&M-Commerce. You can meet world-class professors who are interested in your success, step inside our classrooms and residence halls and meet our friendly staff and current students. We provide group tours of our facilities, including our state-of-the-art science building and planetarium, student center, impressive recreation center and more. We also offer Degree-Completion Programs Designed for working professionals who want to apply previously-earned college credits and professional experience and finish their degree. Find a degree that meets your future career needs with our program finder. Request information about the degree programs that interest you most. Our admission recruiters want to do everything they can to help you learn about A&M-Commerce so it will be easy to apply, attend and achieve. You’re the reason we’re passionate about higher education. Your accomplishments-academic, personal and professional-become the successes of the entire community at A&M-Commerce. Here, you’ll gain knowledge and confidence in a nurturing environment so you leave prepared to push the envelope in every area of your life. Make a difference in your chosen field. impressive learning experiences outside the classroom from research to service opportunities, involvement in student organizations and internships. A&M-Commerce is known for the quality of education we provide and the excellence of our alumni. Graduates from A&M-Commerce are known worldwide in all walks of life as some of the best-educated professionals in their respective fields. 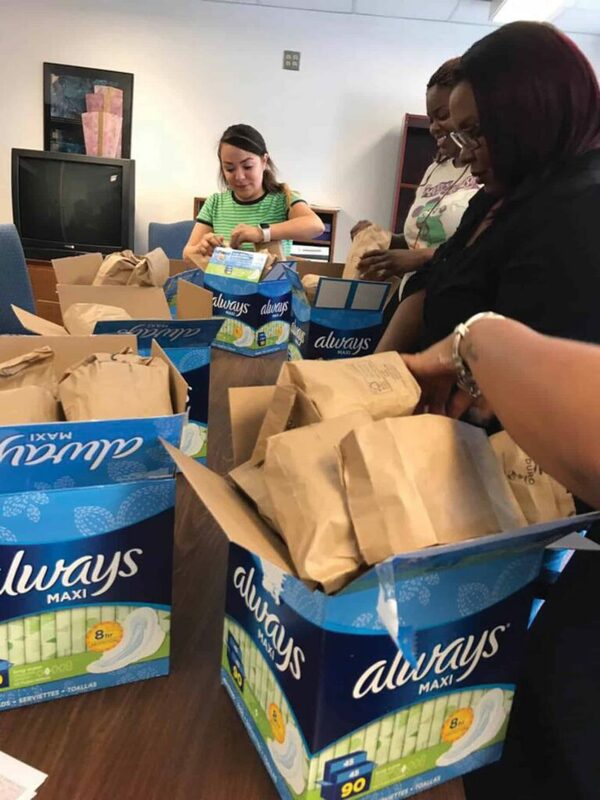 They are working for industry leaders such as Honeywell, KTEN Television, Presbyterian Hospital of Dallas, the U.S. Department of Labor and Wells Fargo Bank. They’re educators and administrators in the public school system. More than 95 percent of our May graduates are currently employed or enrolled in graduate school. Apply today online, or call us at (903) 886-5000 for undergraduate admissions; (903) 886-5163 for graduate admissions. We believe the best learning experiences are built on three things: a commitment to academic excellence, strong personal relationships and the pursuit of a shared purpose. Simply put, it makes living and learning here feel like a private school experience at a public school cost. Each of our colleges and schools offers distinctive programs and pathways to a rewarding life after college. Our students come to campus with a will to succeed and leave transformed and ready to pursue lives of purpose and meaning. of our faculty and staff are A&M-Commerce alumni. of undergraduate classes have 50 students or more. of undergraduate classes have less than 20 students. The College of Business produces career-ready professionals who add value to the global business environment. Our AACSB-accredited degree programs prepare you with the skills employers demand, and our outstanding faculty are devoted teachers and well-respected scholars. Our Career Services Office and business partnerships create valuable internship opportunities for students, ensuring graduates from the College of Business are well-prepared for success in today's rapidly evolving organizations. 92% of undergraduates are employed within 90 days of graduation. 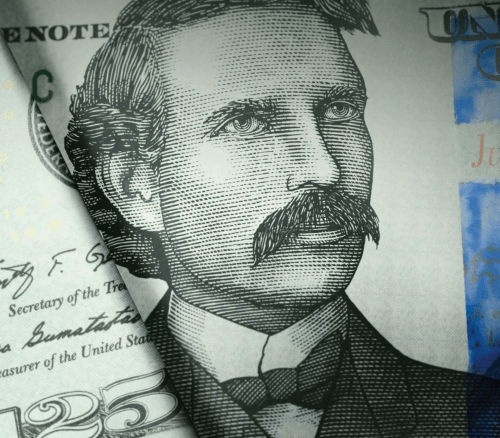 Average starting salary for College of Business graduates with a bachelor's degree is $40,000. A robust internship program creates career- ready and highly employable graduates. Our programs of study are designed to change lives. Our faculty challenges students to develop solutions and generate new knowledge for a complex and interrelated world. A degree from the College of Science and Engineering will prepare you to launch your career in the workforce or succeed in a graduate program. The demand for professionals in the fields of science, technology, engineering and mathematics (STEM) is high and continues to grow. The largest college on campus includes the School of Nursing and Health Sciences as well as the School of Social Work. Our graduates are well-prepared to face challenges in education, medicine and other fields that meet human needs at many levels. Excellence-driven programs prepare student-scholars to become scientists, teachers, administrators and practitioners committed to addressing the transformational challenges of a complex and global society. The college gives its graduates the capacity to communicate clearly and effectively, to understand literary, historical, sociological, and geo-political issues, and to appreciate and participate in the visual and performing arts. Our small classes, personal attention, and career preparation ready you to be a community-minded member of society, as well as a global citizen. Accredited associate member of the National Association of Schools of Art, as well as the National Association of Schools of Music, ensuring that the degrees, curricula, and faculty meet rigorous standards of breadth and quality. 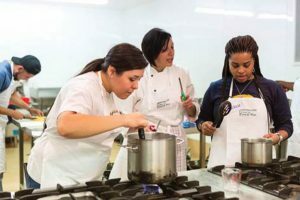 Internationally renowned faculty who bring a wealth of experience and connections to the classroom, laboratory, and studio. Thriving musical, literary, theatrical, and artistic scene on campus. We offer a variety of programs that feature hands-on experience, access to cutting-edge technology and opportunities to conduct research with professors who create a family atmosphere. We take pride in engaging students and providing learning opportunities that last a lifetime. At A&M-Commerce, we are committed to your successful transition from military to civilian life. With more than 100 degree programs, the university's faculty and staff provide students with the knowledge and skills they need to compete in the marketplace. Here are some of our featured degree programs to get you started on that next phase of your career. 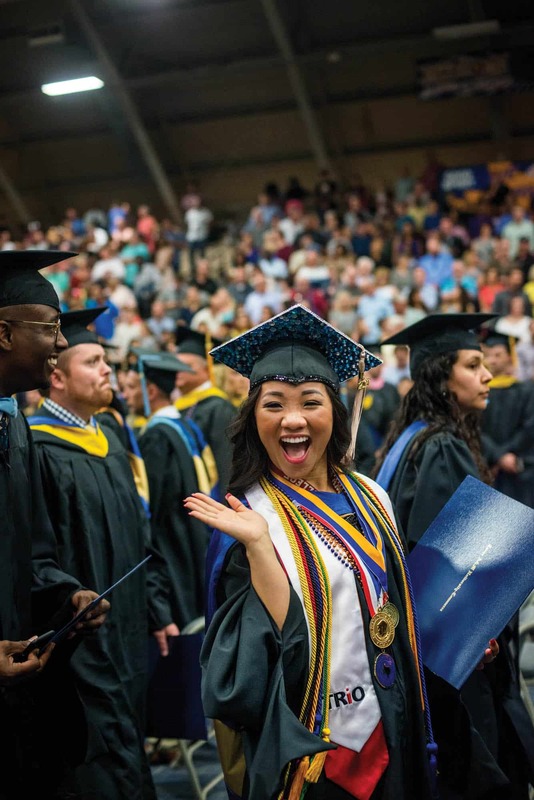 The Bachelor of Applied Arts & Sciences (BAAS) degree at A&M-Commerce is a highly flexible way to transform your lower division undergraduate credits into a degree. Successful completion of this degree also qualifies you for admission to the 100% online Master of Science in Technology Management program. The Bachelor of Applied Arts and Sciences (BAAS) in Organizational Leadershipdegree at A&M-Commerce is a competency-based program that prepares innovative leaders for employment in an increasingly technological and global society. The degree program focuses on leadership skills that are applicable to all types of organizations including business, government, non-profits, and education. The Bachelor of General Studies degree at A&M-Commerce can be the springboard you need to advance your career. There may be lots of reasons why you haven't finished your degree, and it may have been years since you were on a college campus. The BGS program allows you to take all that you've done previously and turn it into an official degree program. We believe in the value of an immersive international experience. Not only do we offer an education that enables you to succeed in an increasingly global world, we'll help you see the world for yourself. 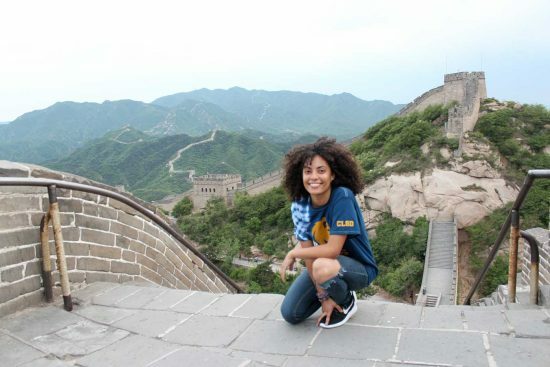 Enhancing your education by studying abroad is more than an adventure; it is quickly becoming the measuring stick by which prospective employers gauge the ability of job applicants to function in a multicultural, professional world. 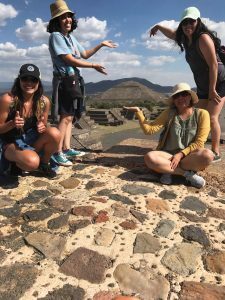 Study abroad experiences have become an indispensable "soft skill" that strengthens resumes and increases job marketability. 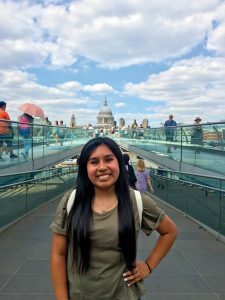 Leadership Without Limits is a unique study abroad opportunity that helps develop a student's understanding of leadership in a global context. 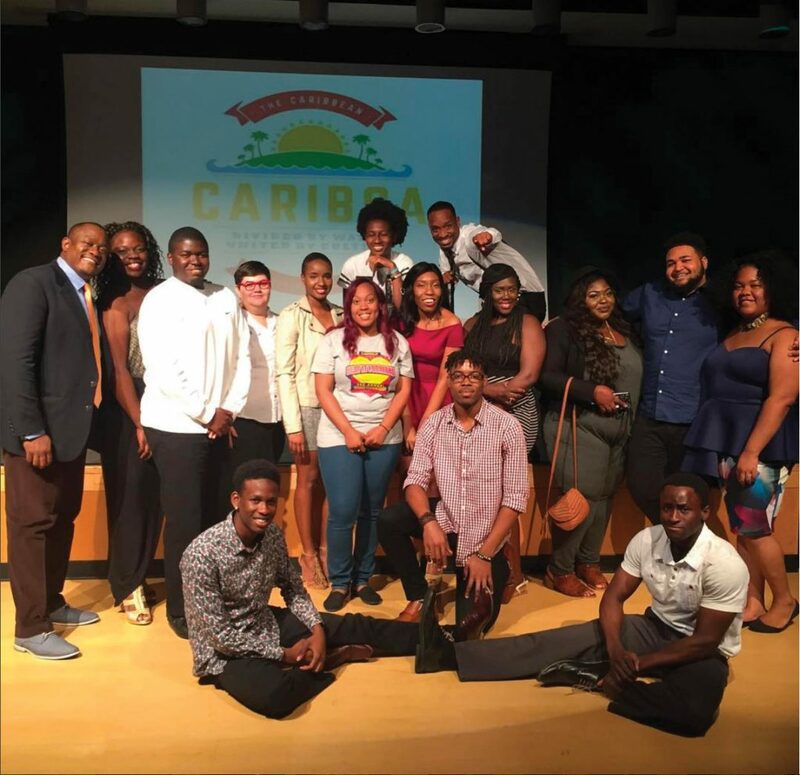 The program challenges students to examine their own perspectives by learning from each other and the cultures to which they are exposed. Determined to make the most of college and refine your job skills? Participate in globally focused coursework, events and research for an opportunity to be recognized as a Global Scholar. Award includes distinction at graduation plus study abroad scholarships. 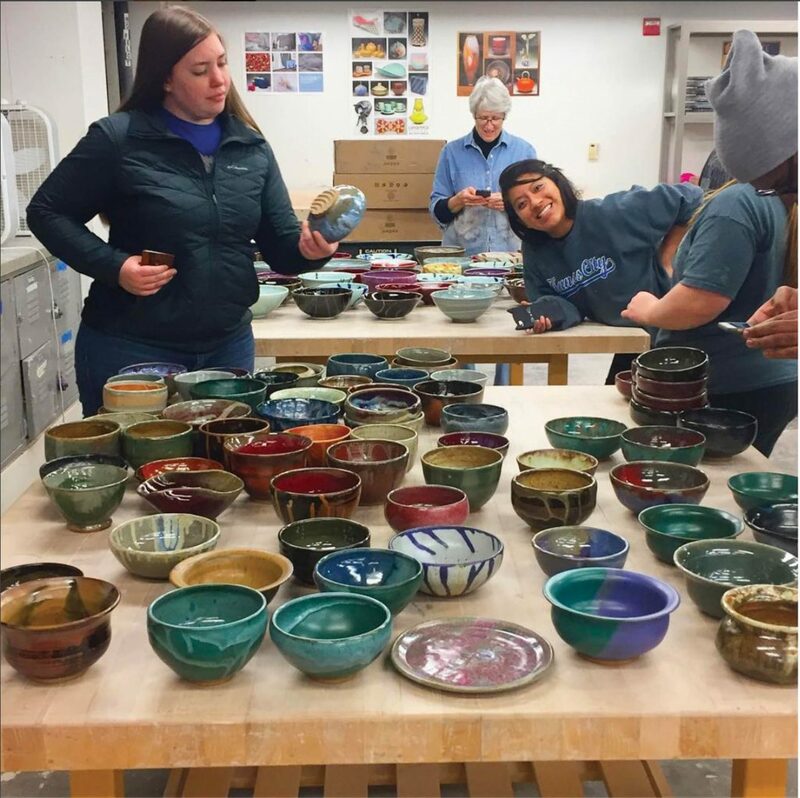 Programs include 10 to 14-day faculty-led programs, individually crafted experiences and full academic programs. 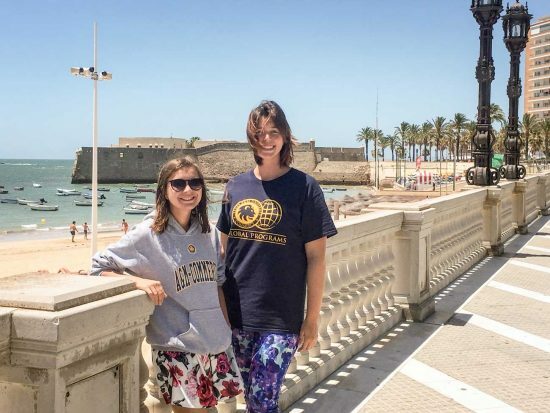 Studying abroad allows students to develop a global perspective of different cultures through exposure, experience, education, social structures, and economic systems. We believe our one-of-a-kind campus culture is just as important as the knowledge you will gain through your studies with us. We've put together a look at a few of our favorite things that happen at the university, and we can't wait for you to be here, making memories with our pride. Buckle up and get ready for the fast track through Lion life! Show me the campus life tour! 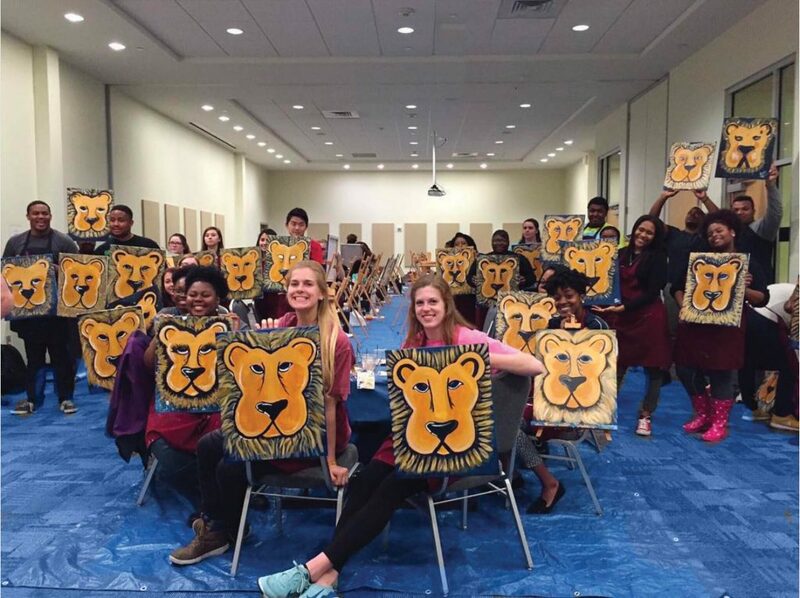 At A&M-Commerce, there is always something to do and always someone to experience it with. 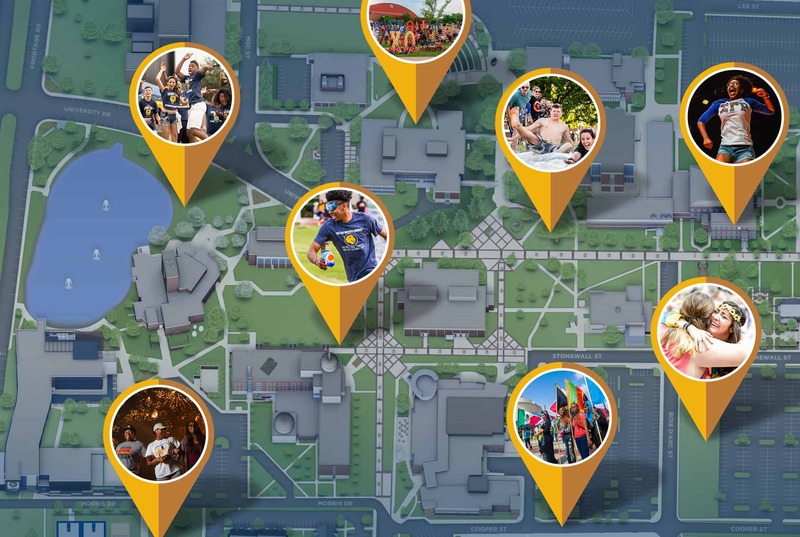 Take a stroll around campus and discover how much goes on every day. Keep your body, mind and spirit active and entertained with the variety of activities that ensure you'll never be bored. Whether it's in an intramural game, a festival or a performance, the sounds of Lions at play are all over campus. How about a little outdoor adventure? Commerce sits between the fast-growing Greenville and scenic Sulphur Springs. Commerce is one of Texas' smallest college towns, making it an ideal place to focus on studies. Our location allows students easy access to other regional activities. We are just minutes from shopping, dining and outdoor adventures, and only an hour's drive from the Dallas-Fort Worth Metroplex. Here, we like to say our pride runs deep. It's a pride built upon a legacy of being Lions for more than a century. We express our pride by flashing the Lucky Lion hand sign. 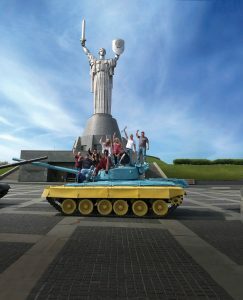 We display it to celebrate victory and to honor our great heritage. Sure, college can be challenging, even a little scary, at first. Don't sweat it. We have your back! Hispanic Outreach & Retention (OHOR) offers services in Spanish and English to students and families during the application and financial aid process so that no questions are left unanswered. For accepted students, OHOR offers scholarships, advising and mentoring, and organizes community outreach and cultural programs. Success Coaches are assigned directly to each first-time undergraduate student and some transfer students. Your personal success coach is your advisor and cheerleader, willing to help you transition to college life and provide academic, financial, personal and career counseling. Student Disability Resources & Services offers accommodations counseling, disability-related resources, access to adaptive technology, assistive equipment, and academic/non-academic accommodations for students with disabilities. Accessibility for all students is a priority at A&M-Commerce. When you attend A&M-Commerce, you are not alone. We care about your success and have the resources to ensure that you thrive! The Math Skills Center is designed to assist students enrolled in developmental math through Calculus I and higher. Students have access to textbooks, calculators and computers. Joint Admission Medical Program is a mouthful, so just call us the JAMP Room. Come in to get help with biology, chemistry, organic chemistry, physics or other sciences. Tutor.com is available 24/7. Students may receive four hours of one-on-one online tutoring per semester in math, science, social studies and English. Walk-in Tutoring is available for those who don't have time to make an appointment. Walk into Gee Library for help with a variety of subjects. Show me some of the resourcesClose this up please. 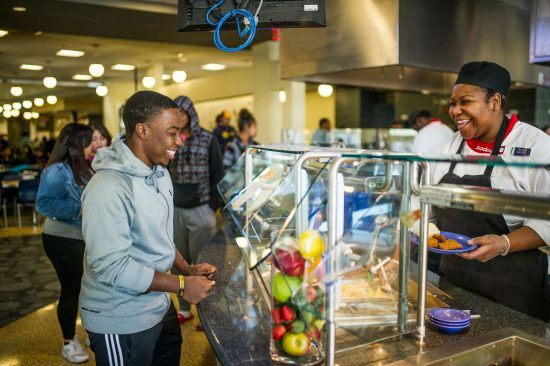 Life at A&M-Commerce isn't just about what you do in the classroom. 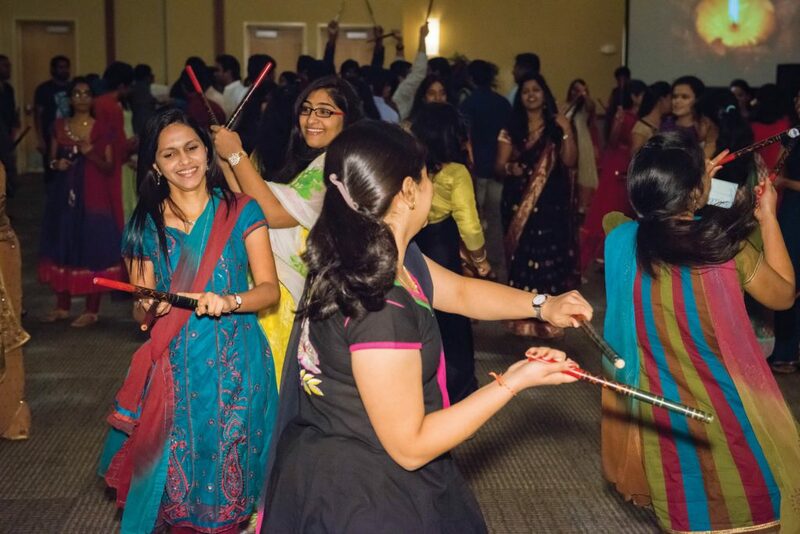 With more than 150 student clubs and organizations, life outside the classroom is every bit as engaging. We have a number of ways to get involved in community service, multicultural programming, student leadership and Greek life. If we don't have what you are looking for when you get here, we'll help you start a new group. 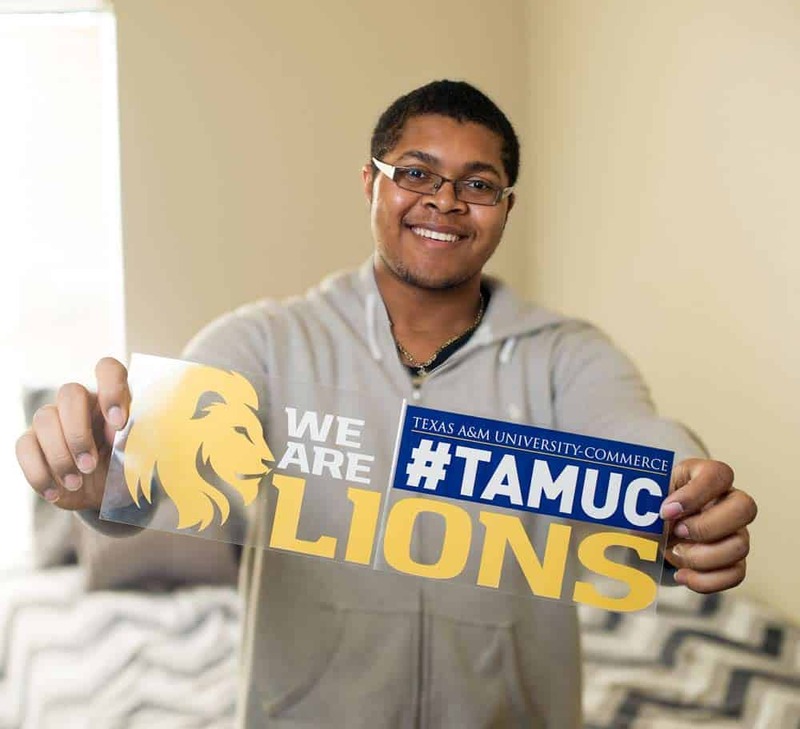 What kinds of student organizations will I find at A&M-Commerce? 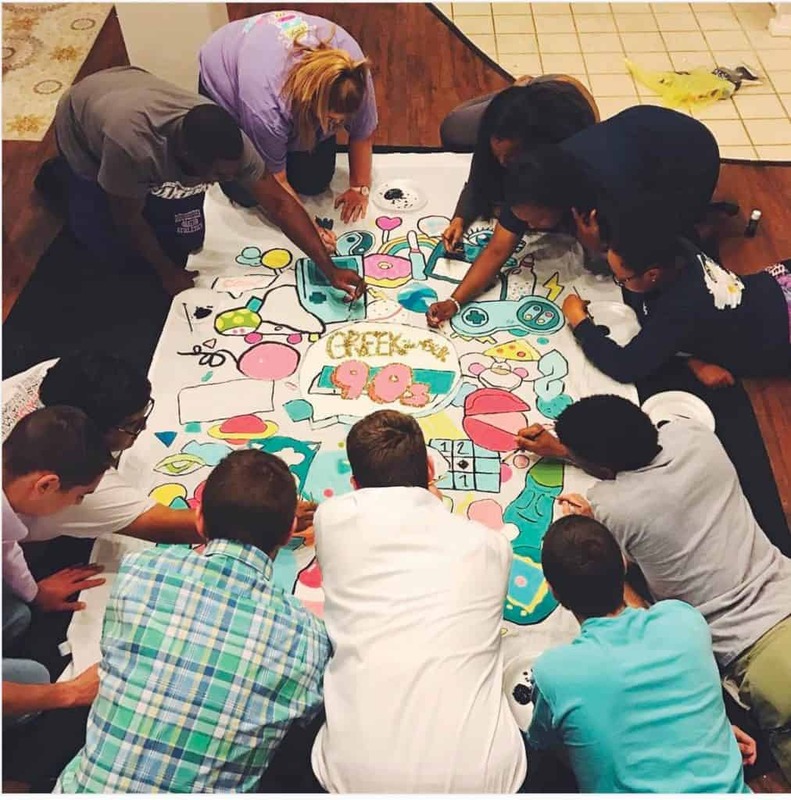 Each residence hall has activities and events that engage you in your home away from home. Our Faculty-in-Residence program is designed to help students grow and succeed academically by providing connections both inside and outside of the classroom. It's a time when you can press pause on work and studying to enjoy fellowship with friends over as much food as you can handle. Our all-you-care-to-eat dining room boasts a variety of menu items in its various sections, including options for those with food allergies or dietary restrictions. 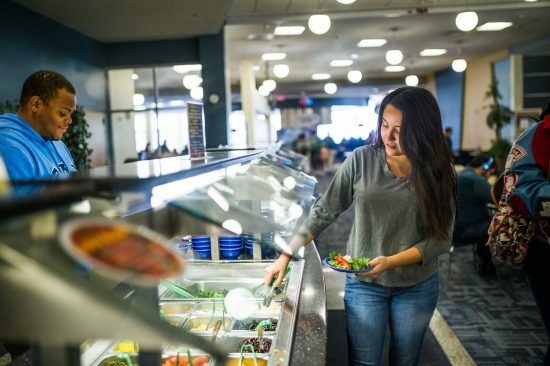 If you're into a healthy diet, our salad bar will definitely be your jam, but we also have plenty of pizza, burgers and desserts for those cheat meals. Don't even get us started on the cereal lineup. 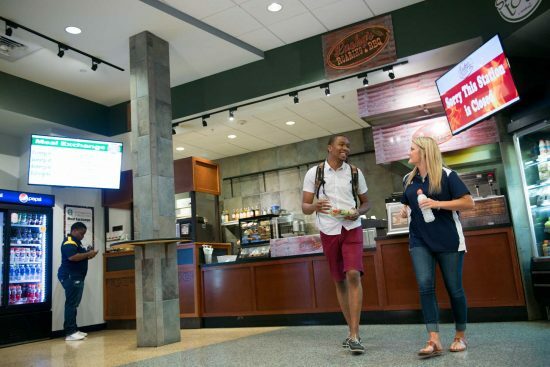 If you're in a hurry, scoot through the Lion's Lair for wings, build-your-own burritos, slow-smoked barbecue or a Starbucks pick-me-up. You want to know your student will be welcomed, respected, challenged and safe as they pursue the educational experience that will open doors to their future. Here, we all share in the responsibility of creating, maintaining and developing a living and learning environment where being different is valued, equity is sought and inclusivity is practiced. When you combine the location of our campus in rural East Texas with a university police department that is dedicated to protecting, serving and educating, we think you will see that this is a very safe place for your student to pursue their dream of a college education. The University Police Department (UPD) offers crime prevention, assistance with vehicles and more. UPD officers respond to all calls for service and emergency situations for the campus community. UPD exists to protect, serve and educate. Officers and staff are available 24/7, including holidays and closures. The MBA degree at A&M-Commerce is outstanding and affordable. Take your career to the next level by earning one of America's most respected degrees. Our flexible (available 100% online), AACSB accredited program is designed for busy professionals who want to be prepared for a world of opportunity. The Master of Science in Managementdegree at A&M-Commerce is a rigorous program that focuses on developing professionals who identify opportunities and create value by leading people and managing resources. This flexible program allows you to take all your classes online, face-to-face or in any combination that matches your lifestyle and maximizes your learning. The Master of Science in Technology Management at A&M-Commerce is an online only, non-thesis graduate program designed to prepare program graduates for career advancement and career enhancement in domestic and global technology-intensive businesses and industrial enterprises. The program is designed to prepare graduates for advanced positions in government and in private sector technology management. Students are given the opportunity to participate in the Air Force ROTC program as crosstown students at the University of North Texas in Denton. Students are required to attend an academic class, leadership laboratory and physical training at UNT once a week during the fall and spring academic semesters. Students enroll in AFROTC classes at the same time and in the same manner as other university courses through their respective university. Students may participate in the four-year or three-year programs. AFROTC courses are taught at UNT. Students register and pay for the courses through MyLeo. See the current Schedule of Classes for current course offerings. A&M-Commerce presents a unique program on campus which honors our men and women who served their country during times of military action. From 1949 until 1991, the Air Force ROTC unit on campus conducted the time-honored Veterans Vigil ceremony. Unfortunately, the unit was lost due to retrenchment by Congress in 1991. The university chose to continue this tradition and in 1992 established a committee comprised of community leaders, faculty, staff, and students charged with continuing this legacy. Schedule a campus tour today and experience A&M-Commerce! 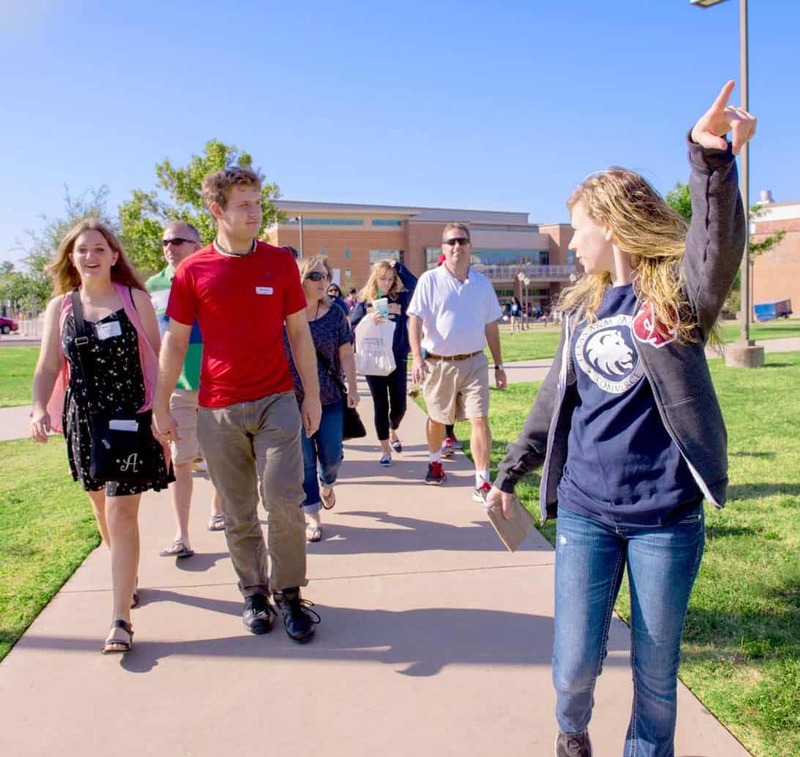 We provide group tours of our facilities, including our state-of-the-art science building and planetarium, student center, impressive recreation center and more.